It’s that time of the week again! 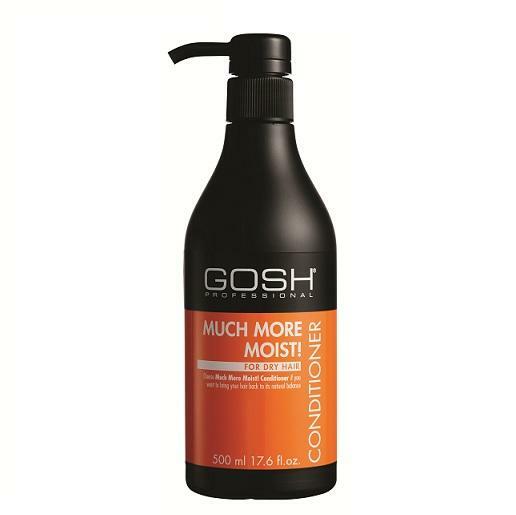 Up for this week is Gosh Much More Moist Conditioner. This was actually a product I used prior to switching to the CG Method; I was delighted to discover that it’s silicone and sulphate-free afterwards. It saved me from getting rid of more than half the container that I had sitting in my shower. Now, my hair loves this. It is super rich, and has lots of slip, making it very easy to detangle in the shower. It makes my hair feel wholesome and moisturized and happy, which is what I want! This would be an excellent choice for people with more dry, medium thick/thick curls. I love, love, LOVE this product!…..except for one thing. To me, it smells like a type of spice or incense. Some people may really enjoy this scent – but to me, it just reminds me of a weird, spicy, wood journey. Not mannish, just something that I picture burning while sitting reading tarot cards and peering out my beaded curtain. I’m a very scent-based person, and this tends to throw me off. Another challenge for those of you not living in Canada, is that it may be difficult to find. GOSH is a company that sells cosmetics as well as hair products, all of which are vegan and not tested on animals. They originated in Denmark, and many of their products are found in Shoppers Drug Marts, however, I have often gone in to see that they are ‘sold out’ of this, or haven’t gotten it restocked. Overall, while my hair loves this and I would put it into fairly regular rotation, the smell makes me use it once every few weeks as an extra-loving, conditioning option. The price is fairly reasonable (around $10 at Shoppers), if you are able to get a hold of it.